Thousands of families gather around the television on Thanksgiving morning to watch the legendary Macy’s Thanksgiving Day Parade. The tradition is as much a part of the holiday as the turkey and the football games and this year, it featured several Bridgeport girls in the lineup. For the first time in the 17-year history of In Step Dance and Fitness, located in Anmoore, marched into Herald Square to dance in the famous parade. 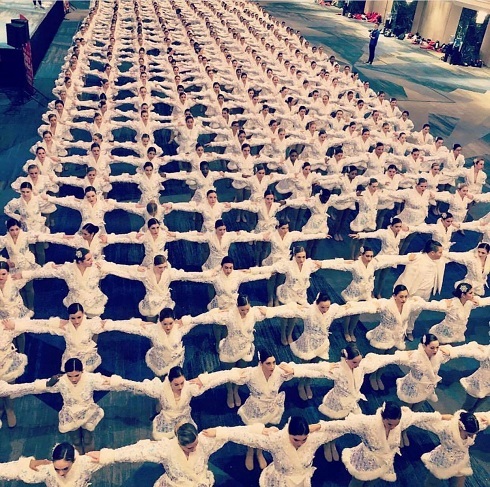 In February, the group auditioned and was chosen to be part of the Spirit of America Dance Performance Team along with 650 dancers from across the country. Director Kim Bell looked into the Spirit of America program after seeing them perform in the 2017 parade and arranged for the audition video to be submitted. Bridgeport High School students Kaylee Smith-Maholic, Kelsey Dorchak, Myiah Snyder and Lexy Hoy were part of the featured team, who appeared nationally on Thanksgiving morning in front of nearly 24 million viewers. They arrived with the rest of the dance team in New York City on November 17 and returned on November 23. Once there, they endured three to four-hour practices on Saturday, Sunday, Monday and Wednesday. On Monday, they also had the opportunity to go to a dress rehearsal at Macy’s with NBC. 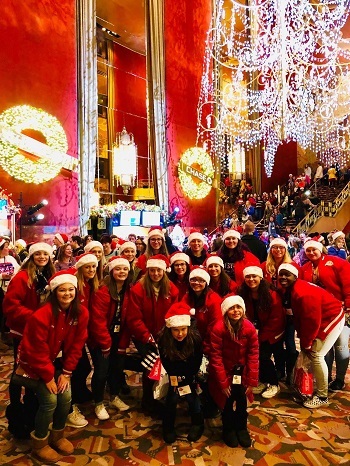 While in The Big Apple, the girls attended a Broadway play, went to the Radio City Music Hall Christmas Spectacular featuring The Rockettes, and toured the city during one of the most exciting times of the year. Prior to the trip, the team raised over $2000 per dancer through fundraising. They also had over 45 community sponsors who generously donated time, money and resources in order to give the girls this opportunity. For some, it was their first time in New York City and it left quite an impression. The girls agreed it was a surreal experience to be on national television and for senior Kaylee Smith-Maholic, it made for a memorable experience. The In Step Dance and Fitness Studio offers dance classes for youth and adults and fitness classes for all levels. In addition to Kim Bell, dance instructors Marissa Shanholtz and Amanda Starkey also attended the trip.